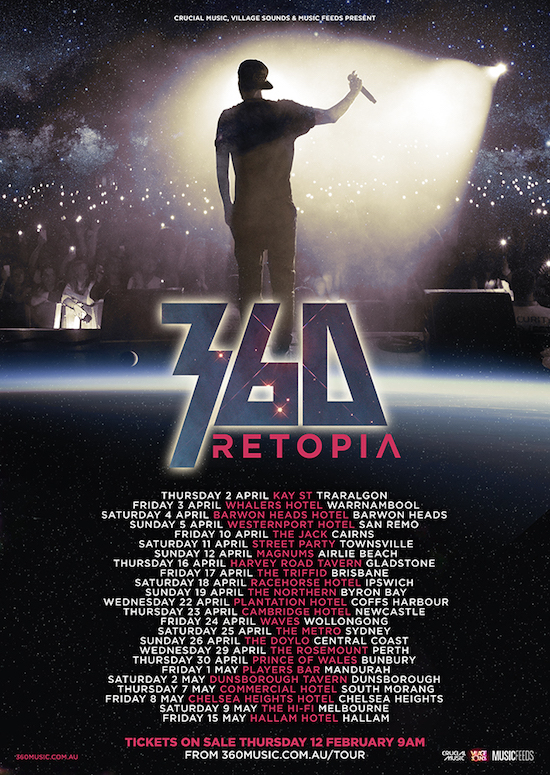 Acclaimed Australian rapper 360 is thrilled to announce new touring dates for the rebranded national Retopia Tour this April and May. Hitting some of the best regional towns in Queensland, New South Wales, Victoria and Western Australia across 6 huge weeks, the re-scheduled dates will see 360’s tour expand from 16 to a whopping 24 dates, including very special intimate shows in capital cities along the way. Whether it’s on world festival stages or at his own headline shows, seeing Sixty live is an electrifying experience, and this April and May marks an incredible chance for Australian fans to witness it up close and personal. 360 will be performing all the hits from his latest album Utopia, including, “Price Of Fame” (feat. Gossling), “Live It Up” (feat. 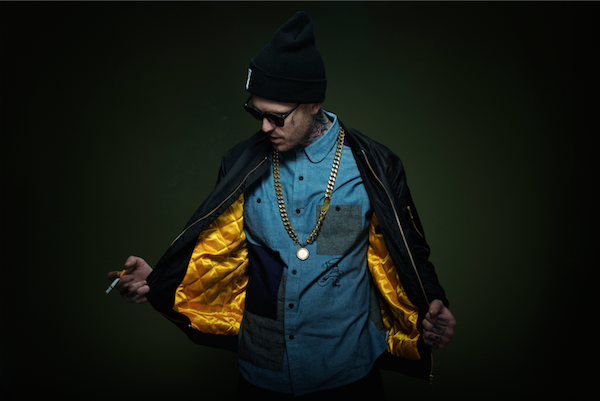 PEZ), the game-changer “Sixavelli” (feat. Lunar C), and more. Touted as “the country’s hottest and most controversial-crossover star” by The Sydney Morning Herald, 360 has rapidly earnt himself vast amounts of respect amongst the Australian public and music industry alike for bringing Australian hip hop to the forefront of the musical landscape. Following on from 2012’s Falling And Flying, the double-platinum smash album that resulted in Sixty’s meteoric rise to fame, his latest offering, the bold and passionate Gold-selling Utopia, is the soundscape to a young man’s life who found himself growing up and facing his demons in the public eye, dealing with the double-edged sword of fame; the perils of flying too high and the vulnerability it causes behind closed doors. Tickets purchased to previous shows will remain valid for their re-scheduled dates. If you cannot make the new re-scheduled dates, refunds will be made available from point of purchase until Friday 13th March. Due to logistical restrictions, 360 won’t be able to make it to Albany, WA. Tickets for the previously scheduled Studio 146 show (Jan 28) can claim refunds from point of purchase. Your patience and understanding while we worked hard to re-schedule these dates has been absolutely incredible, on behalf of 360, and Management, thank you.